In So Close to Being the Sh*t, Y’all Don’t Even Know, Parks and Recreation star Retta takes us on her not-so-meteoric rise from roaches to riches (well, rich enough that she can buy $15,000 designer handbags yet scared enough to know she’s always a heartbeat away from ramen with American cheese). Throwing her hard-working Liberian parents for a loop, Retta abandons her plan to attend med school after graduating Duke University to move to Hollywood to star in her own sitcom―like her comedy heroes Lucille Ball and Roseanne. Say what? Word. Turns out Retta might actually be on to something. After winning Comedy Central’s stand-up competition, she should be ready for prime time―but a fear of success derails her biggest dream. 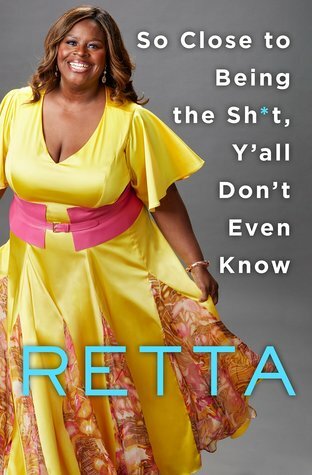 Having never watched Parks and Recreation (I’ll allow one single tomato thrown at my feet), I really didn’t know who Retta was before picking this book up. But I did learn she’s a comedian, so I jumped on the chance to read this one. My different experiences with memoirs from comedians have each been pleasant in the past (my do I love Tiffany Haddish’s memoir! ), so I couldn’t wait to let my mind be filled with all things Retta! It really does feel like she’s across the table from you, having a coffee (Black Magic, of course!) and telling you all of these mostly crazy and unique stories you sometimes can’t believe actually happened. Retta is a voice impossible to ignore, that’s the truth. She speaks her mind and isn’t afraid to shock people/throw some controversial stuff out there. For example, I can’t believe she shared with us that she once ate a cockroach… by accident. Most celebrities wouldn’t share such a story because it certainly doesn’t make them look good, attractive. But it’s the kind of anecdote that, yes, is irrevocably disgusting, but it makes you pause and brings to life in your mind whatever you’re reading about. I could picture vividly Retta eating that cockroach, boy oh boy! So I did appreciate getting to know Retta. But here’s the thing. While I do enjoy her voice and entertaining personality, I believe she’s not done growing – as a comedian, woman and human being in general. The reason why I say this is because she perpetrates stereotypes and reinforces pre-existing negative opinions on (sometimes) controversial topics, like vegetarianism and consumption of alcohol. There are very few comedians I watch because of the fact that they feel free to criticize people based on their lifestyles, while knowing that it hurts to be on the end of criticism. And no, saying it’s a joke, in my opinion, doesn’t soften the blow or make it okay. For instance, Retta says she feels sorry for vegans and people who don’t drink and says she feels judged by them since she herself loves meat and drinks. I’m paraphrasing, of course, but that’s not funny. Is anyone really laughing right now? 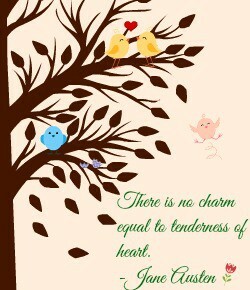 It just makes you wince not only internally, but also externally. So, as you can see, I have mixed feelings about Retta. Sometimes I find her lovely, endearing, fun, hilarious. Other times, I find her offensive, cliché, cheesy and immature. In conclusion, I wouldn’t go to this woman for advice related to anything ‘‘serious’’, but I would go to her if I wanted to spend an amazing afternoon filled with Hamilton dance parties! Yay!